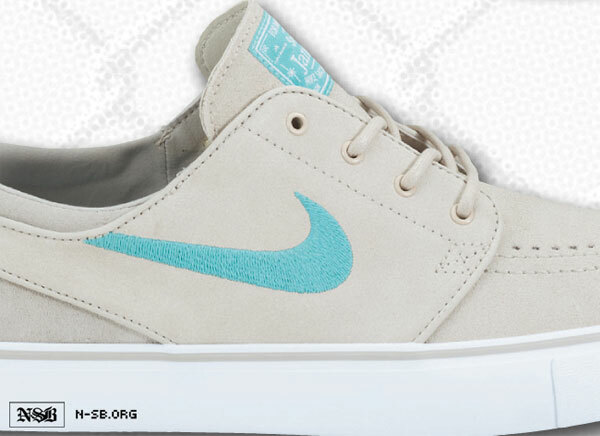 Another summer 2012 Janoski has surfaced, and it might have many of you wishing they'd drop immediately. Another summer Janoski has surfaced, and it might have many of you wishing they'd drop immediately. 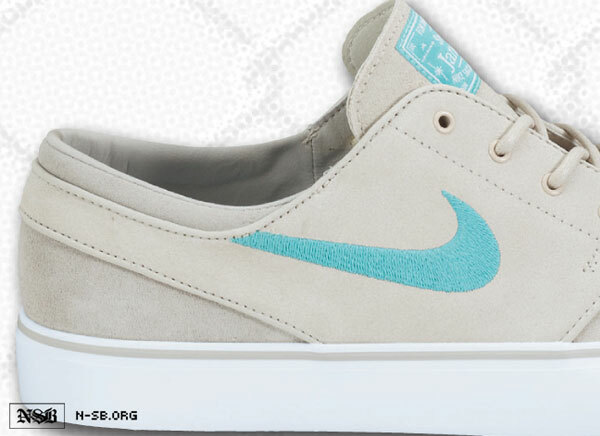 Just perfect for those summer months, this new build of the popular SB style combines a clean birch suede upper and a familar aqua hue known as Clear Jade. 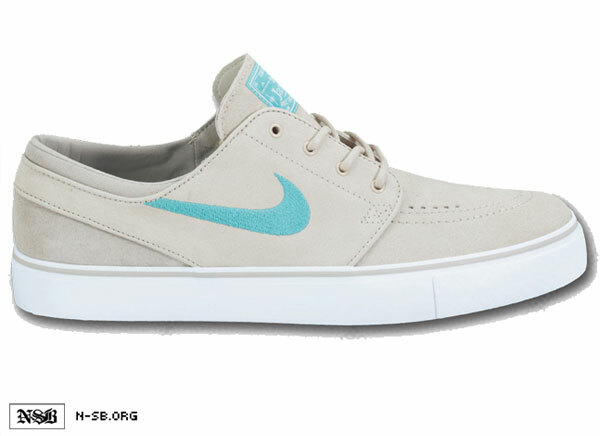 The striking aqua shade takes care of the stitched Swoosh and also takes care of the Stefan Janoski branded tongue tag. A white sole sits below, accented by one last hit of birch along the foxing stripe. 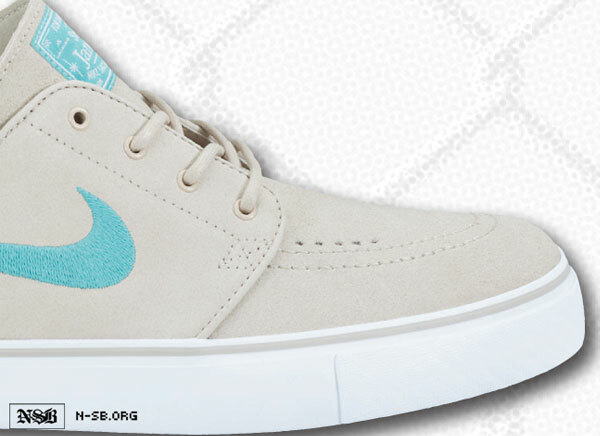 Look for the "Clear Jade" Nike SB Stefan Janoski to hit retailers next summer.